Our experts have been made aware of a new email extortion scheme targeting Australians. The email suggests that a backdoor has been installed on the victim's computer and the user was caught red-handed while pleasuring him or herself. 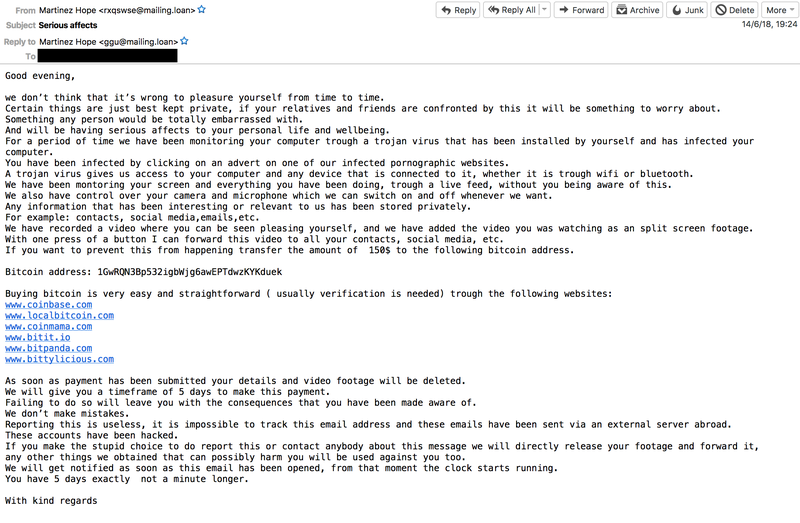 The scammers then threaten to send the video evidence to everyone on the victim's contact list destroying his or her reputation unless a ransom of $150 (0.02 BTC) is paid to a specific Bitcoin wallet.